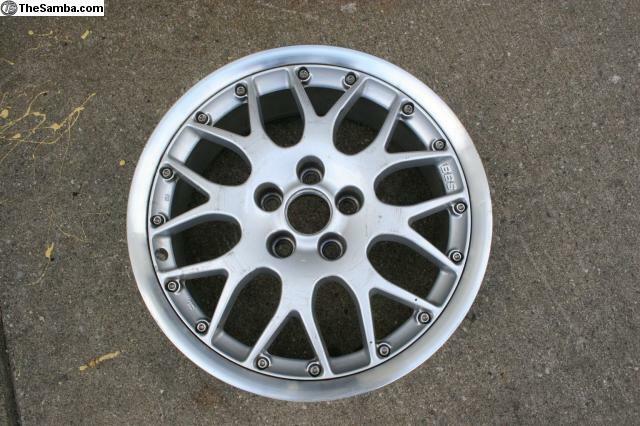 TheSamba.com :: VW Classifieds - Assorted VW/Audi Wheels! Lots of models! 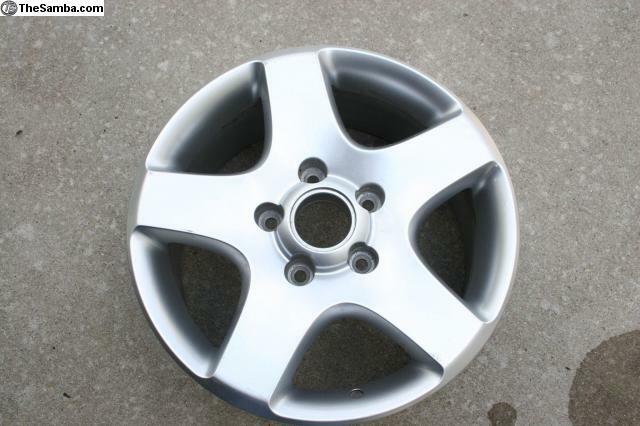 We have several pallets of wheels for Volkswagen and Audi cars. Some of them we only have a few of, others we have lots of. 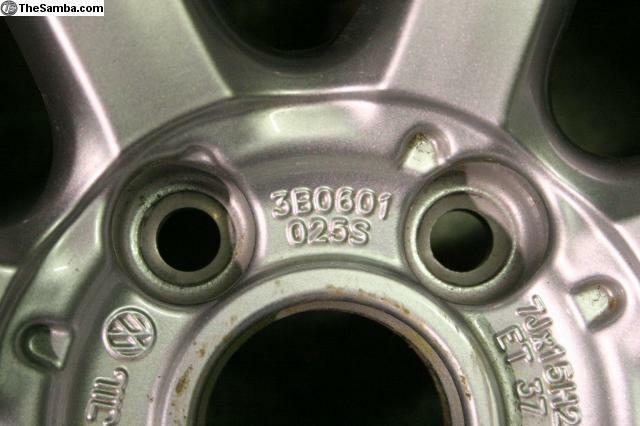 Below is the list of wheels we have with all the details of each. 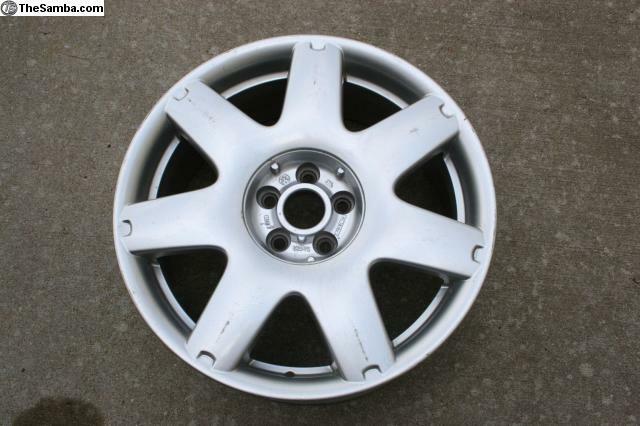 We can send pictures of the wheels on request if you would like to verify it is the right model for you. 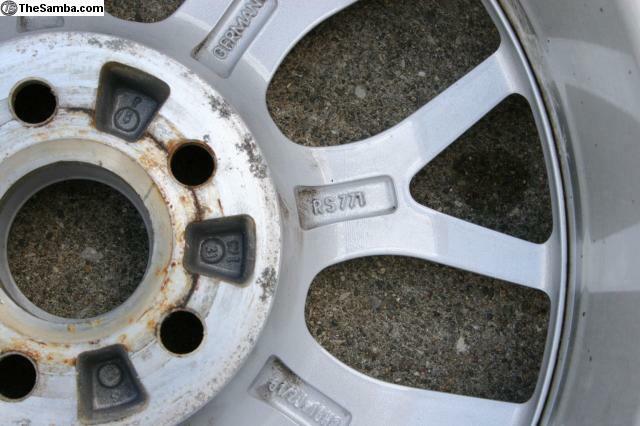 These wheels are in good shape, not bent, but some have minor scrapes and scuffs on them. Most of them are in perfect shape. If you would like to buy a set of 4 or more we can give you a good deal. Call for details – Monday – Friday 11:00 a.m. – 3:00 p.m. (248) 789-3803 Eastern only or by email at [email protected]. I only work part-time. We're Recycled Bugs, Inc. for all Volkswagens, a brick and mortar parts warehouse in Auburn Hills, Michigan, selling new, used, and rebuilt parts for Volkswagens. 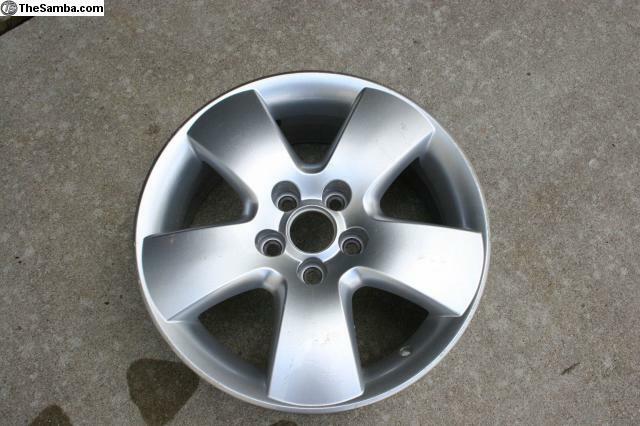 We have all sorts of parts for Volkswagen. Just let us know if there is something you are looking for. We have been in business since before you were born (30 years). We have 15,000 sq. ft. warehouse 25 feet tall full of new and used stuff. And we're a real business with lights, telephones and friendly, knowledgeable staff selling real parts we have on the shelf. We're not some guy with a hotmail account working out of his parents' basement drop-shipping parts he doesn't even have. We sell items from 1960-2005, with emphasis on "daily driver" parts. We sell parts that make your cars go. 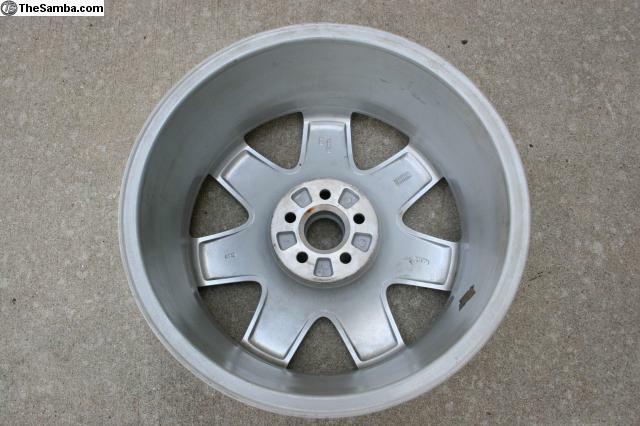 We don't specialize in restoration or racing parts, so ordinary items are important to us. We have a real building with real store hours, if you have a problem and it can't be resolved you can come and see us. We are at 2300 N Opdyke Rd, Auburn Hills Michigan. Open M-F 9-6 Saturday 9-5. Located on Interstate I-75 exactly at the 80 mile marker. 80 miles north of the Ohio line right on the freeway. The side of our Building is a 20'x 120' mural of VW Parts. If you want to come pick them up bring cash! If you would like us to ship them you will be responsible for shipping charges. 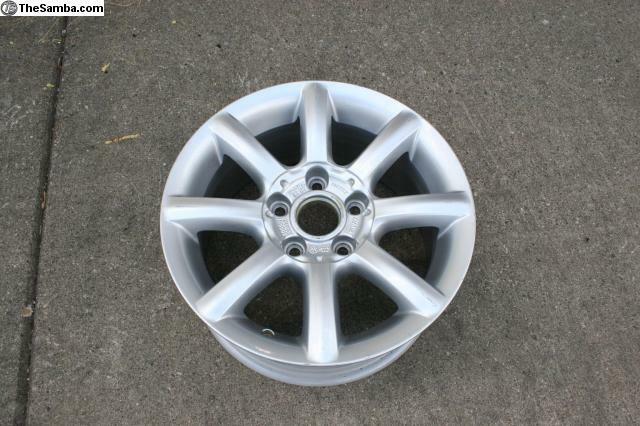 1J0601025AB 10 $125 WHEEL 03 BEETLE/01 GOLF/01-03 GTI/01-03 JETTA LONG BEACH 17X7 5 4"